It’s simple really; we love a good dessert. Sure, savory food is pretty tasty and all, but there’s nothing quite like a yummy cheesecake, a chocolate fudge cake, a tub of ice cream (or two) or a good ol’ banana split. You wouldn’t go to sleep without brushing your teeth, so why finish a meal without having dessert? It’s common sense. However, in a world full of meat eaters and animal products, it can be hard to find food that fits into a vegan lifestyle. Luckily, we’ve found some epic ideas for vegan desserts that will get your mouth watering and your sweet tooth craving. Sorry, not sorry. Many people think that those who live a vegan lifestyle can’t eat chocolate – and oh, how wrong they are! In fact, vegan chocolate is often tastier and more refreshing than dairy chocolate, as it is more natural. One of the best ways to utilize this glorious chocolate flavor is to make a chocolate mousse. To make this yummy dessert, you’ll need five ingredients: almond milk, an avocado, cacao powder, vanilla extract and a banana. The method here is super easy because you just whack it all in the blender and let the magic happen. Once it’s all smooth and creamy, you can add whatever you want as a topping. You can add fruit, cacao nibs (which are really yummy) or oats. The choice is yours. I mean, we’re sold on the name itself. 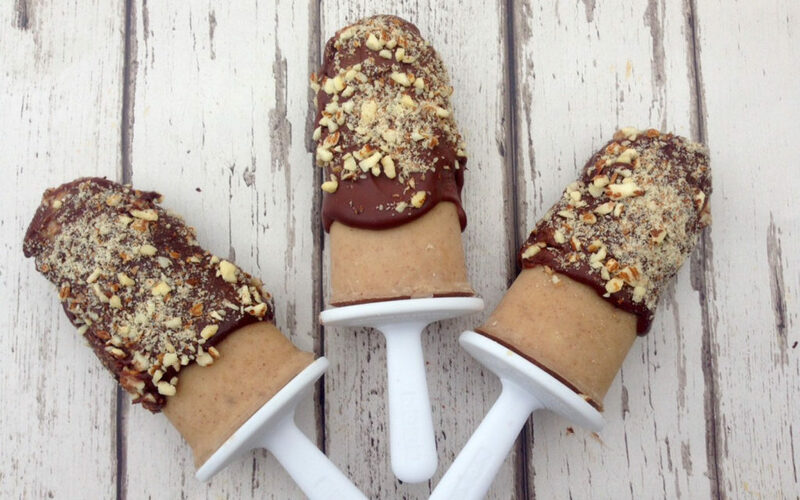 We love peanut butter, we love bananas, and we love ice cream – what could go wrong? Answer: Absolutely nothing. It’s so easy to make dairy-free ice cream, and you can substitute the banana and the peanut butter for vegan flavorings and products of your choice to suit your cravings on the day. Although vegan ice cream is a little different to ice cream that includes dairy, it is still super yummy and can be made with just three ingredients. For this recipe, you’ll need bananas (this recipe works better if they are ripe), peanut butter and almond or soy milk. Freeze the bananas and place in a blender with the peanut butter. Once the texture is creamy and smooth, add in your dairy-free milk, blend once more, et voila! There was a reason why Gwen Stefani wrote a whole song about bananas – because they are pretty darn great. This chocolate covered bananas recipe is great if you’re looking for a lighter option that doesn’t fill you up too much. For this recipe, you’ll need bananas (of course), almond milk, and vegan chocolate chips. You’ll need to melt the chocolate chips and the milk together, either in the microwave or on the stove, until they have made a lovely chocolatey-milky mix. Then, cut your bananas in half and dip them in the chocolate sauce. (WARNING: this stage is incredibly messy, so make sure you’re hungry enough to lick the delicious chocolate off your hands!) Place your bananas on a tray and pop them in the refrigerator for around three hours. There’s nothing better than a warm, gooey chocolate brownie, am I right? 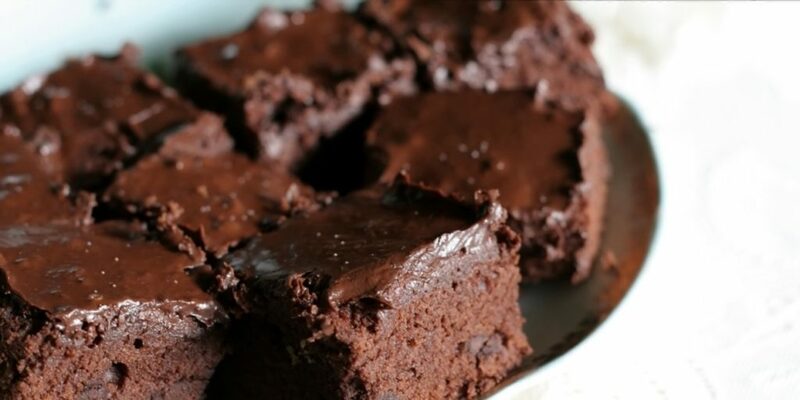 Luckily, it’s easy to make vegan brownies – and you can normally just use a brownie mix from the grocery store. There are so many vegan brownie boxes on the shelves (just check the ingredients before you buy) all you’ll need is the box, and a can of pumpkin pie filling (we’re salivating right now). Simply mix the two together and place in the oven to make the most delicious chocolatey treat you ever did have. Promise.